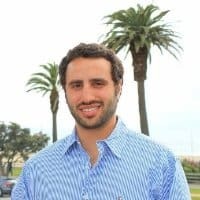 Logan Lemberger leads business development for WireCash, which bills itself as the first online money remittance marketplace. With WireCash, U.S. residents can search, compare, and send money to 150+ countries, while comparing quotes from multiple companies based on fee, exchange rate, etc. He also writes about the money transfer industry for The Enlightened Remitter. Previously, Logan worked with ATMCash, sending millions of dollars in online remittances via prepaid debit card. Logan provides expertise on a variety of topics including: global money remittance, online payments, and payment security. He holds Bachelor’s degrees in Economics and International Studies from the University of Washington. Through extensive global travel, and experience in the tourism industry Logan has gained a breadth of knowledge and understanding of other cultures. He can be reached on Twitter or LinkedIn. Global remittances to developing countries are estimated to exceed $436 billion in 2014, and research suggests that they help lower poverty significantly. Unfortunately, high fees have claimed a substantial part of this money. But multiple factors are driving the industry online, says Logan Lemberger - and that could be a boon for the global poor.